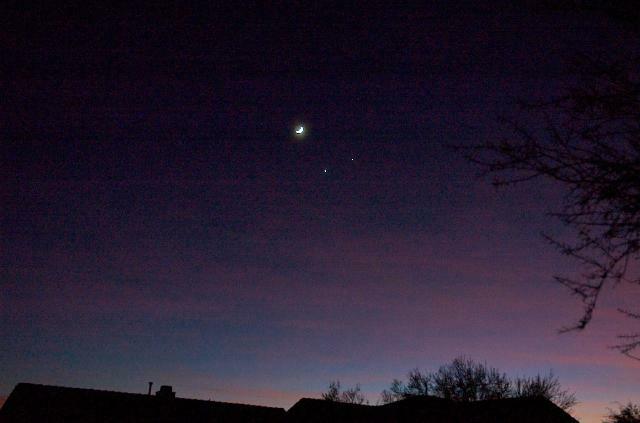 Taken from Oro Valley, Arizona, 1 December 2008. 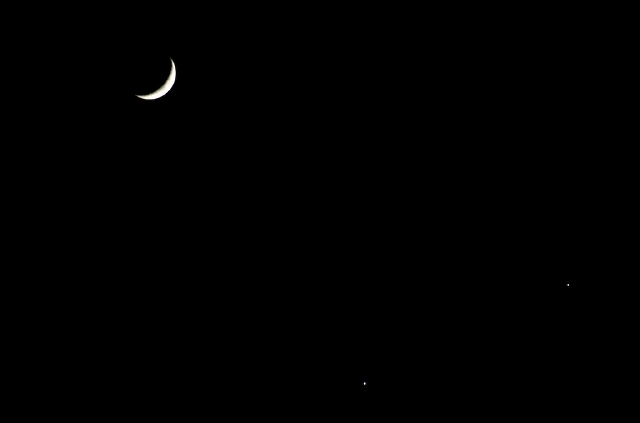 Moon, Venus (bottom) and Jupiter (right) with a 300mm telephoto lens (set to 220mm) on a Nikon D70 DSLR. Compare to the photos below from 29 and 30 November. 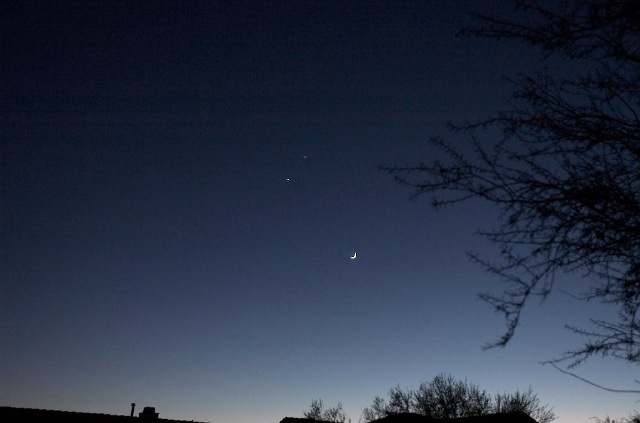 Wide angle view showing the crescent moon as well on 1 December. Compare to the photos below from 29 and 30 November at the same focal length. 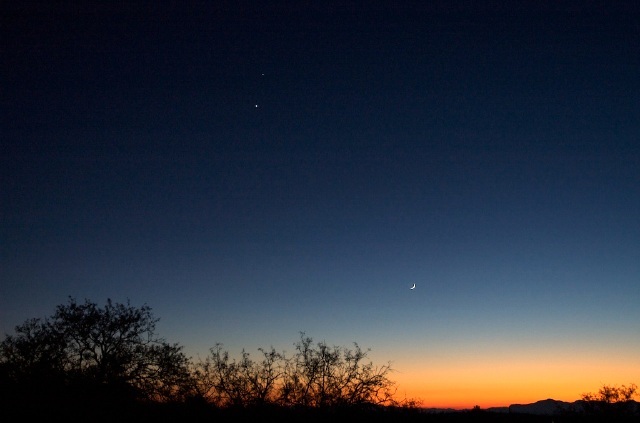 Taken from Oro Valley, Arizona, 30 November 2008. 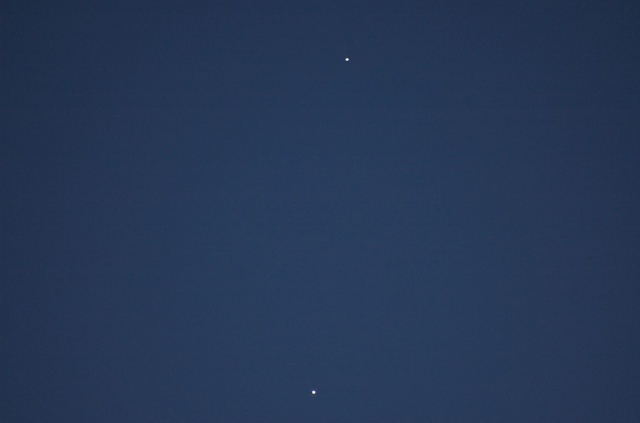 Venus (lower) and Jupiter (upper) with a 300mm telephoto lens on a Nikon D70 DSLR. Compare to the photo below from 29 November at the same focal length. Wide angle view showing the crescent moon as well on 30 November. Compare to the photo below from 29 November at the same focal length. 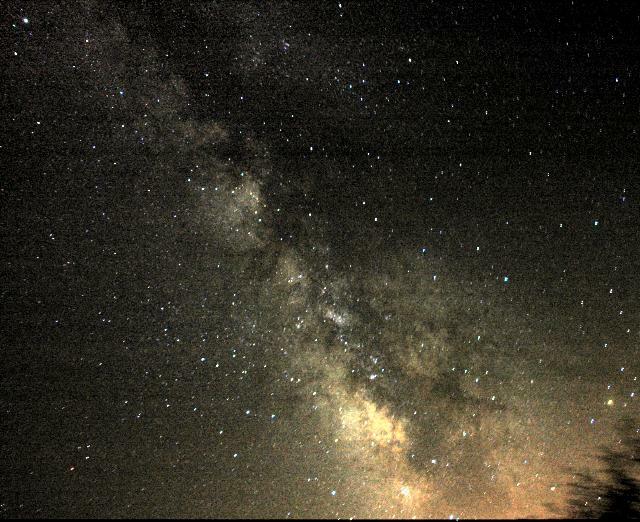 Taken at Oracle Observatory, 29 November 2008. 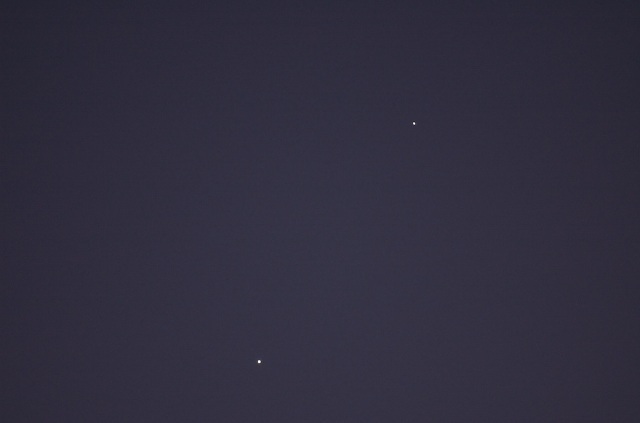 Venus (lower) and Jupiter (upper) with a 300mm telephoto lens on a Nikon D70 DSLR. Wide angle view showing the crescent moon as well. Milky Way guided piggyback photographs taken from Oracle Observatory with my new Nikon D70 DSLR mounted on my ETX-90RA. Details on these and other piggyback astrophotographs taken on this trip are discussed on my Nikon D70 DSLR astrophotography page. 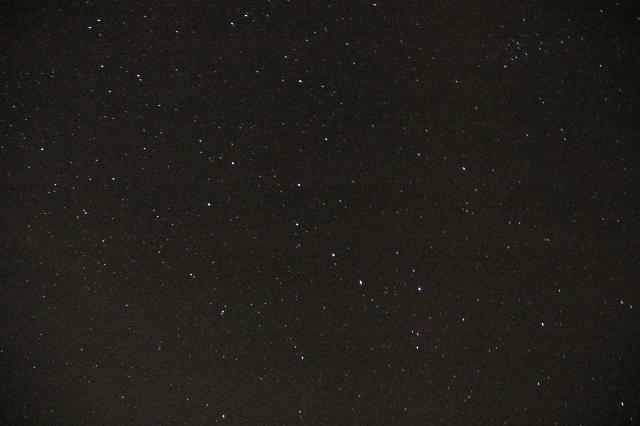 Big Dipper taken from Oracle Observatory with my new Nikon D70 DSLR. This photo is one of a series; the exposure was with the D70 lens set for 18mm and the exposure was 65 seconds at ISO 1600 with Noise Reduction enabled. If you look closely at Mizar (at the bend of the "handle"; hint: the dipper is upside-down), you can see that Mizar is actually "split". Not bad! 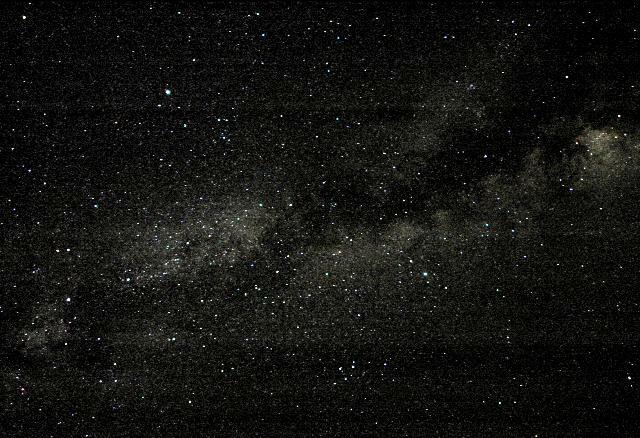 Nearly all of the "dots" you see are stars (evident in the fullsize version of the image since the stars are trailed as the exposure was unguided). I will be reporting on more D70 DSLR astrophotography on a future Site update. Go to the 2003 Sky Astrophotography page. Go to the 2001 Sky Astrophotography page. 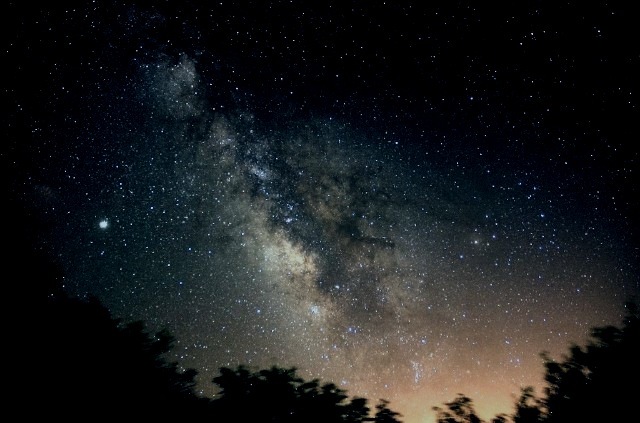 Go to the earlier Sky Astrophotography page.